This is one of the best bass gaming headsets that can be found on the market. Corsair Void pro offers a great bass response, so you won’t miss a thing. The comfort, microphone quality and affordable price point category are what makes this gaming headset worth buying. Anyway, considering the overall quality, performance, and durability that this gaming headset offers, we may conclude that its value is definitely worth for the money that you invest. Moreover, it is discord certified, which pretty much speaks about its quality. First of all, let’s mention the value that this gaming set offers. It belongs to an affordable price point category and provides some of the qualities that even an expensive price point category headsets can barely offer. However, the best way of describing this Corsair Void pro surround gaming headset is by its features. Have you ever felt like your neck is in a serious pain or your head is going to explode due to overplaying? If you are spending too much time on your PC, playing games, this might be a perfect solution for you. Get rid of those uncomfortable headsets and dive into the world of comfort. What you can get with this Void pro gaming headset is memory foam and fabric microfiber mesh that will drastically increase your overall gaming experience. Even after a long time sitting and playing video games, you will feel not even a single itch in your neck area. This headset offers a great comfort that Corsair should be proud of. Now, given the fact that manufacturer has a serious amount of years in experience of making gaming headsets, means that Corsair has learned how to build a headset that offers great durability. In other words, Corsair uses only the finest materials for their products, and this headset as well. Metal structure with infused glass fiber plastics is in charge of durability. Once you buy this headset, you can be sure that will last for a years of your gaming experience. Tuned custom, these 50 mm speaker drivers (neodymium) will bring out the best of the headset. Accuracy and wide range will ensure great action that this headset can offer. There will be no sound unnoticed. Anyhow, this headset is compatible with multiple devices. You can tune it into Xbox One, PC, PS4 and various mobile devices. However, they might require sometimes a Microsoft adapter. In other words, whatever platform are you using, you will be able to dive into a magical sound environment. The microphone quality is a tricky one. Anyhow, it only depends on your preferences if you will like it or not. However, the microphone has a soft sound that cancels and prevents a background noise. Your teammates will be able to hear you clearly without any inconvenient sounds that your dog, cat, or street noise can make. Anyway, we all know how important a Teamspeak is for a teamplay. If you lack this one, you will lack a communication which is a key to winning in team games. Therefore, Corsair has made this one easier for you. Nevertheless, if you are playing games that are 1v1, this headset is your best friend as well. You will be able to hear every single noise that can reveal your enemy’s position. There won’t be any gunshot or ultimate passing through without you noticing it. Actually, this will give an overall advantage that can help you to overcome your enemy. If you are a true gamer, you should know what Discord is and how it works. However, this site/app is one of the best teamspeak providers out there. Corsair Void pro surround is Discord certified. In other words, Discord certified this product for an outstanding sound and communication which is crystal clear. That speaks much for itself, doesn’t it? Being lightweight, this headset will drastically increase the overall comfort. However, not only that, but you can carry them around easily and tune them from device to device without any problems. They are extremely easy to use and have so-called CUE software. This software will offer you a maximum control that you can have over this headset. It has the simple-to-use and intuitive interface that you will remember for ages. Now, what you get with this gaming headset is a USB adapter. What this adapter does for your headset is unlocking 7.1 surrounding system on your PC and offers the great range of sound even on your mobile devices or consoles. 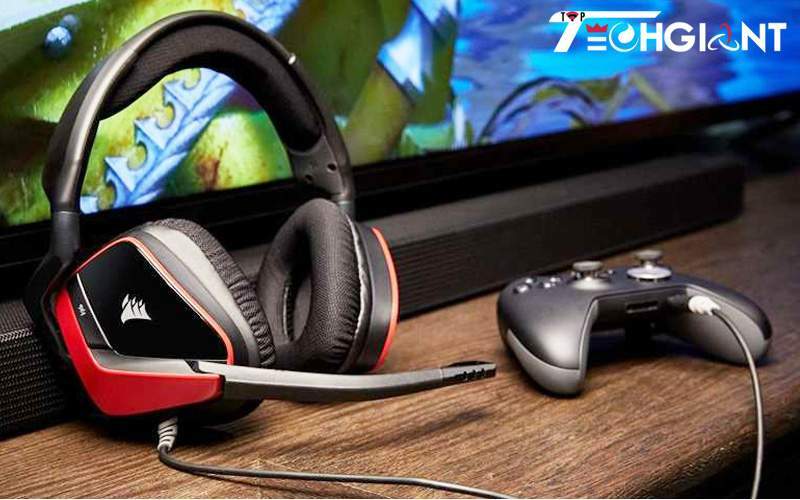 Moreover, this gaming headset offers a wide range of frequency response that goes from 20Hz all the way to 20 kHz. This ensures that nothing passes through without you hearing it. Whether are those explosions, or silent footsteps, you will be able to hear them clearly and without doubt. Anyhow, as we mentioned earlier, this headset belongs to an affordable price point category. Considering everything aforementioned, we may say that this one offers an extraordinary value for the price that you pay. Of course, there are some cons and downfalls that we mentioned, but overall performance will easily overcome those. 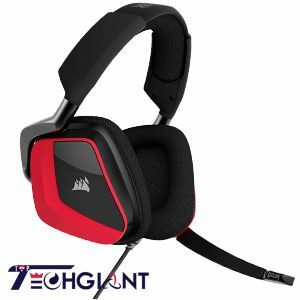 You can check out from top 10 best gaming headsets. In the light of everything that we previously said about Void pro gaming headset, we may conclude that this one is one of the best bass gaming headset that can be found out there. It offers great quality for its price, hence, it is the highly-valued product. If you are a professional gamer, you should consider getting one for yourself-this one is, simply speaking, must have! However, we hope that this review made your choice a bit easier.